There really is no wrong way to do your family history. You can decide to trace a branch, a family or even just one ancestor. But there are mistakes in genealogy that you may make during the course of your research. Your approach may be to discover names and connections at first. Or, you may want to focus your attention on an individual and learn as much as you can before going onto the next person. What you will learn here! I will present some guidelines that you should consider when researching your family tree. This will ensure that your tree will be free from errors and that you can be proud of your research. After all you do not want to be hitting brick walls or abandoning researching your family history. This is something that can be passed down to your children and preserved for generations to come. After reading this post you may want to watch the following video presented by Crista Cowan from Ancestry. In the video Crista discusses 5 mistakes that you may be making with your genealogy research. Also, you may want to check out the Rookie Mistakes article at the Family Search website, which covers numerous mistakes. One of the first courses of action you must take is to ask your relations about your family history. They may possess valuable information such as names, dates and stories as well. They may also have documents, interesting photographs and heirlooms as well that will be invaluable to your research. They can offer so much! Your relatives may have birth, marriage or death certificates in their possession. You can ask them to make copies of these or if they are willing to give you the original. This will save you time and money. You DO NOT want to be wasting time ordering certificates when they are virtually on hand. That time could be best spent researching your family tree. Also, the money you save could be used to purchase certificates that you do not have. Your relatives can help you! Your relatives may be able to fill in the blanks that you may have in your research. If you are not sure of a name, date, place or you are curious about a story that you have been told then there is no harm in asking. The information that can provide will undoubtedly help you further in your research. In fact sometimes you will be astonished at the information that they can give you. Details such as a relative that you did not even know existed, or a story that you may not have heard before. These examples can help enrich your knowledge of your family history. Who knows what help your relations will be able to give you? I have always treated the information that I have found on the Internet with a grain of salt. What I mean by this is do not trust everything that you find online. Astonishingly, not everything on there is in fact correct. Here I want to present to you two examples. Sometimes there will be errors in the transcription of Census records that you find, or any other record for that matter. Enumerators that collected information on Census night may have written in fancy writing. This will leave the transcriber difficulty deciphering what was written. If you have knowledge of the area, or the person in question you may be able to see the error. The same can be said for parish records. During Census night information about a household may have been sought by the next door neighbor. Can you decipher the handwriting above? Mistakes on amateur family trees! Another example is the many family trees that you will find on genealogy sites by an amateur family historian. Checking their sources may highlight to you that their tree is actually incorrect. They may have cited a Census record for a person with the same name yet appearing in a different village for example. One person may have put their incorrect tree online only for someone else to blindly copy their tree and assume it to be correct. After all if two people have the same information then isn’t it correct? It is always worthwhile just checking over information before you enter it into your own tree. You do not want to add these errors to your tree so follow this advice and do not take what you find online at face value. This is similar to the previous case with regard to transcribing records online or even at an archive. Using knowledge of the area or the person in question may help you decipher illegible writing. You may also want to enlist the aid of an archivist or other experienced genealogists online to help read a record. I will be honest here and will admit that even I have committed this genealogy sin. I was of course new to family history research. Although I did spend only a little time following the wrong branch. It was time though that I could have better used researching the right branch. So, you could say I went the wrong way! I did find a person with the same name in the right area but it wasn’t long before I realized it was the wrong family and I had found the right one. It is easy enough to check if their spouse, children, occupation, or parish are correct. You will then know that you are on the right path, or right branch for that matter. If you are impatient and in a rush to create your family tree, or it is late at night then it is likely that you will make a mistake with your family tree. Just take your time, do the research and check whether you have got things right. It will be so rewarding in the long run. I know about the excitement of finding new information and plugging them into your genealogy program and building your charts. It can be quite impressive to look at a newly created chart that features new people and dates that you have found. For some though it is easy enough to forget to put in your references and you will ask yourself where did I find this information? Well, you may hit a brick wall with a new individual and decide to come back to it later. If you haven’t cited your research then how can you properly continue where you left off. You DO NOT have all the details to carry on so have to backtrack to find where the information came from before you move on. You may want to ask for assistance from someone. If you don’t have any citations then that person will also have to backtrack as well. This will of course cause a delay in the fact finding process. There will undoubtedly be times when there will be holes in your research. Parts of the puzzle that need to be filled, but the correct piece needs to be used. It is all part of genealogy trying to find that one piece that will fit in the gap. At times during your research you will come across brick walls, times when you can’t seem to get the information that you are looking for. You therefore DO NOT want to make assumptions and put in data that you think to be correct. This will only compound errors later down the road. BE SURE what you put in is correct! As I have mentioned before there is nothing more fulfilling than created something so wonderful like your family history but also that it is correct. Sure you can put together a family tree and people can be impressed by it. You won’t feel proud at all if you know that something isn’t right with it. So, as I have explained there are a number of mistakes or pitfalls that you can fall into when you start researching your family tree. It is important to be aware of these as they can not only waste your time or also money. You do not want to be wasting time researching a branch of the family that isn’t even really yours. Genealogy is though a fun and exciting hobby. Everyone seems to want to know where they came from and who they are related to. You just don’t know what you will find along the way. And that is part of the excitement. It is a long journey and coming along these gems along the way can be quite rewarding. I hope you enjoyed reading this article about mistakes in genealogy. If you have any questions or comments then please leave a comment below. I can definitely relate to this post because I had a family member that always rushed into building a family tree. It was terribly irritating and guess what? It never was done! I like your approach of the mistakes that are possible to be made because they have happened in my family. I believe that i have a family member now that is still trying to get everyone’s information , but I am not sure if they are even close to finishing. One problem is that finding the really old records is very difficult and could be in someone’s house in their attic and not even know its there. You did a good job writing this post. Is genealogy your only passion? I was always concerned how far I wanted to go with my family history research. To be honest though you can never finish doing genealogy as there are always new records available and different branches to trace. I did not realize that genealogy could be such entailed work really! I thought that you just went to a genealogy site, and gave them some information and then everything was done for you, LOL. Having to hunt for birth certificates could be troublesome for those adopted like me. So, because of that one reason, I have never even thought to take on such a daunted task. Hello here. I see that you have an informative website here. Nowadays when people can use the Internet and resources from libraries, the information can help reach us faster compare with one hundred years ago. I like when you offer to talk with relatives or family members. Conversations can create new bonds between members and open some secrets. Sometimes everything looks so smoothly but with the research, we can find some skeletons in the closet. Anyway, people can discover many interesting things and find explanations about events from the past. Thanks for pointing these mistakes out. It will help make the search easier. With the advent of computers and the Internet we certainly can get to the information faster than in olden days. There is always new information being put online all the time, and so more records are accessible from genealogy sites such as Ancestry and FindMyPast. Although sometimes a visit to the local archives may need to be made. It is important to note though that wherever you get your information that you make sure it’s correct. You don’t want to be adding people who shouldn’t be on your tree. What a great blog post and I have just referred it to my grandma because she has just discovered that she can find out about our entire family history via the internet. It’s also funny, as I read your article I recognise that the aspects you have mentioned may be what we consider being common sense, but when we get caught up with our research, they are the first things we forget. So thank you for reminding us of how to be mindful of these mistakes. Thank you very much for referring your grandma. I am planning to add more content all the time, and so there will plenty more information for you to use. I have written a guide on how to do family history – How Do I Start My Family History In 10 Steps which will help. You bring up a lot of valid points to watch out for when doing a family history check to trace the family lines. I can certainly see how easy one could go astray with how things could lead you down the wrong path with misinformation. Even though there is a fair bit of information and documents to help, you still need to be thorough to how you go through the information. You brought up some great tips and methods to do a proper search. Finding your site is very timely for me since I am getting ready to begin some research into my own family history. I appreciate your suggestion of taking your time and double checking or verifying information to avoid wasting time going down the wrong path. Finding out information from family members is really important. Especially if you have some family members that are getting older. They have very valuable stories to share. You eluded to costs involved. what are some of the costs that are involved in a genealogy search? It’s is important to check your sources of information and also to ask your relatives as they will tell you a lot about your ancestors. Some of which you may not have known before. My Top 20 Family History Interview Questions article can give you useful tips on how to prepare and ask the right sort of questions. These are just some of the costs involved. Although genealogy doesn’t come cheap it is important to start with what you have got by checking your home for documents and asking relatives. My What Sources of Information At Home Can You Find? may also be of use to you. Thank you for all the tips and information and pitfalls regarding genealogy. I have been trying to gain some information about my Irish side but according to my Dad who has now passed, there was a large fire where the records were kept in Ireland (Co. Cork) and many were destroyed. It is a shame about the fire in 1922 that destroyed many records. The same disaster occurred to the 1931 Census in Britain and so there will be a big gap in people’s records of this time period. There are records though that did survive. The Irish Genealogy Toolkit does list some of these. I’m sorry but I am not able to provide any more assistance. I hope this has been of use to you. Good luck. Genealogy is quite fascinating for sure. I see that the facts are certainly easier to get than years ago dueto the inventions of the computer and internet. 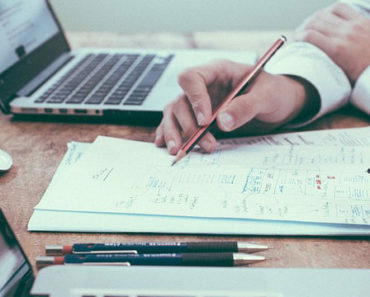 Keeping all the data references is certainly of the utmost value and having assistance can be very beneficial. I like the charting ability to see your tree grow from information found. 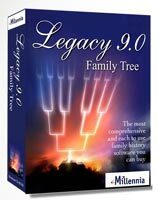 All in all your information is a valuable resource to expand your family tree efficiently. Well I know one thing I have done. I some how have duplicates of the same person. Also people tend to name kids the same name as they are so it can get confusing. Especially when you skip a few generations then see the same name several more times. I also hate getting stuck. I did ask my family though. when I was writing my family history book there were undoubtedly people with the same name. As a number of my ancestors named their children the same, and also I looked at cousins. So when talking about them in my book I would follow their name with their birth year in brackets. I think that I have made all of these mistakes at some point or another — lol! But I didn’t have any reference site like this to give me such great tips! Now I’m one of three people in my family who does genealogy research, and I’m constantly having to go back and show them where they should have cited a source, shouldn’t have believed that we were related to royalty without checking, etc. They are easy mistakes to make, especially about believing what the Internet says! Thanks again for the info. I enjoyed reading your post. I find genealogy so interesting because it seems to strange to me that I don’t know my family just two generations back. I mean their genes are totally influencing me in every way and I have no idea who these people were. Even more strange is that it’s possible my grandchildren’s children will have no idea of me. I once read there is a place in India ( a funeral pyre) where they kept track of every person born into a certain family for 100 generations and sometimes more. wow! Thank you for enjoying the post. You’re right when you say about genes. What I find interesting is that if say one pair of ancestors didn’t meet then there would be no you. We are here because of chance encounters, someone decided do take a trip, or whatever. Everything that they have done has led to us. Owain, thanks for this information. You’re so right about citing the sources of your information, it has to be correct. We a duty to ensure our future generations have accurate information. When we did our family history, we made a decision that if we could not cite at least 2 sources, then we refrained from using the information and if we did, it was explicitly stated. Yes we do have a duty to cite our references for future generations. If you do not do this and you have made mistakes then your descendants may believe what you have created. This will lead to further mistakes if they take on the fact-finding process. That’s a good tip to use with having two references. And I quite like how if you do not have this then you state so. I have done something similar to this when I have written up my family history book. If I wasn’t sure of something then I have said this. And so further descendants will know this fact and find out for themeselves the truth. 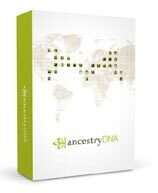 Great site with good information on how I should get started in finding out about my family tree. Have bookmarked and will come back for a more detailed look. Thank you for your kind words. Please keep checking back as I am adding more information all the time. It’s important to know what are the right steps to take when doing your family history. As I have spent many years researching my own genealogy I have quite a bit of experience to pass on. I want to be able to help people discover their ancestry and the stories that it will uncover. I appreciate this basic approach and tips. Recently I was given a massive amount of old family photographs to scan so we can update the family tree with more info. It’s all new to me. Looking forward to reading more of your Genealogy Guide.